Cypress - We offer cypress walkboards, bedboards, sideboards, crosspieces, picking rails, chocks, etc. Crosspieces - We have designed a crosspiece which is Douglas Fir measuring 1 1/2" x 4 1/2" x 72" and pre-drilled to resist splitting and guide the nail straight into the uprights. We also offer nominal 2" x 4" Douglas Fir and full 2" x 4" cypress crosspieces pre-drilled. Douglas Fir - We offer 3" x 4", 4" x 4", and 3" x 8" uprights, crosspieces, crossties, etc. Hemlock - We also have a large inventory of 1 x 8 Rough Sawn Hemlock which cost about 30% less then Cypress. Hemlock is a economical alternative to Cypress, although Hemlock tends to break where Cypress will continue to flex under load. Direct ship discounts available. 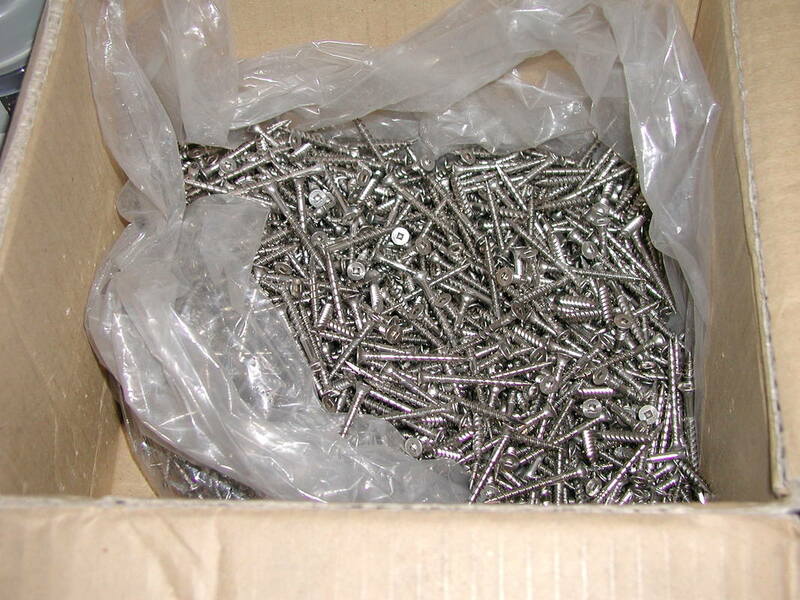 Stainless Steel Nails & Screws - We offer stainless steel nails, screws, and roofing screws with rubber washers. Foam Insulation - We stock rigid blue foam insulation in 1", 1 1/2", & 2" in square edge and Tongue & groove. Hardware - Nails, screws, and heavy duty mushroom house door hardware. Roofing - We offer Aluminum and Steel roofing and accessories. We also offer EPDM Rubber (Ethylene Propylene Diene M-class rubber) which is great for valleys and flat roofs applications. We stock 10 FT and 20 FT wide rolls. We cut to length or sell complete rolls.